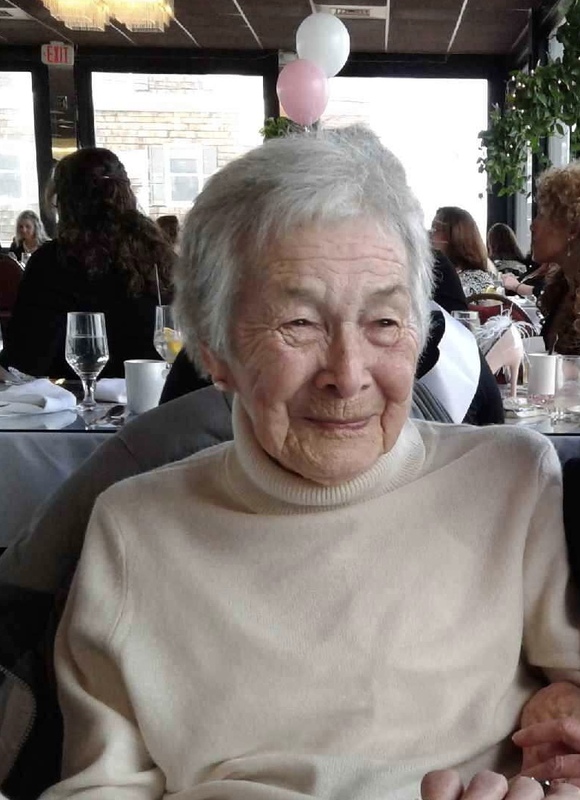 Edith “Peg” Hendrickson, 100, of Milford and a former longtime Holliston resident, passed away Sunday, February 10, 2019 surrounded by her family. She was the daughter of the late Anna (Blouin) and Abel Supernor. She was the wife of the late Charles A. Hendrickson. Born in Worcester, Ma, Peg spent her childhood in West Boylston. She was a 1936 graduate of West Boylston High School and went on to work as an office manager at Wyman-Gordon Corp, where she stayed through WWII. She was a home front volunteer during the war. Peg loved singing, and was a member of the Worcester Symphony Orchestra Choir. She also sang with St. Cecilia’s Church Choir in Ashland, and at one time traveled to Rome with the choir to sing for Pope John Paul II. Peg married Charles in 1946 and their son, Brian was born in Gardner, MA in 1947. The couple moved to Holliston in 1950, where their daughter Wendy was born in 1956. During these years, Peg worked as a waitress at the Red Coach Grill in Framingham and later worked for 14 years as a mail carrier for the Holliston Post Office. Peg loved the outdoors and was happiest when she was walking, hiking in the woods or walking the beach. After her retirement, she traveled extensively throughout the US, Europe, the Caribbean and Russia. Among her favorite trips was a hiking excursion in France with her sister and daughter, and a trip to Alaska with her daughter. Peg is survived by two children, Wendy and Brian Hendrickson, both of Milford. She also leaves behind a sister, Patricia Ostrowski and her husband, Matthew of West Barnstable, MA., and many nieces and nephews. She is predeceased by 5 siblings, Richard, Dorothy, Raymond, James and Joan.